Thank you to Stencil Revolution for providing Amanda with a stencil for this project. All opinions are her own. 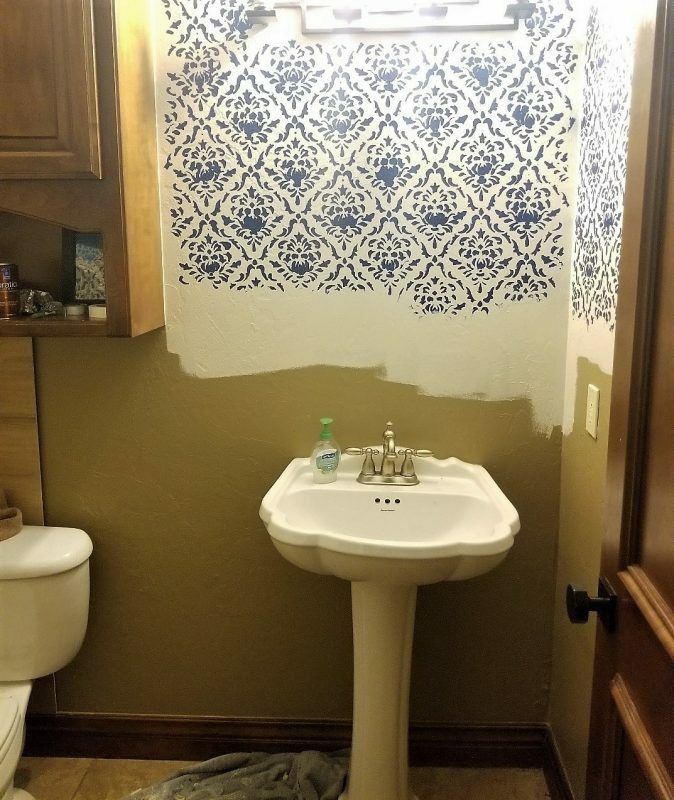 The time had finally come to tackle our half bath renovation. 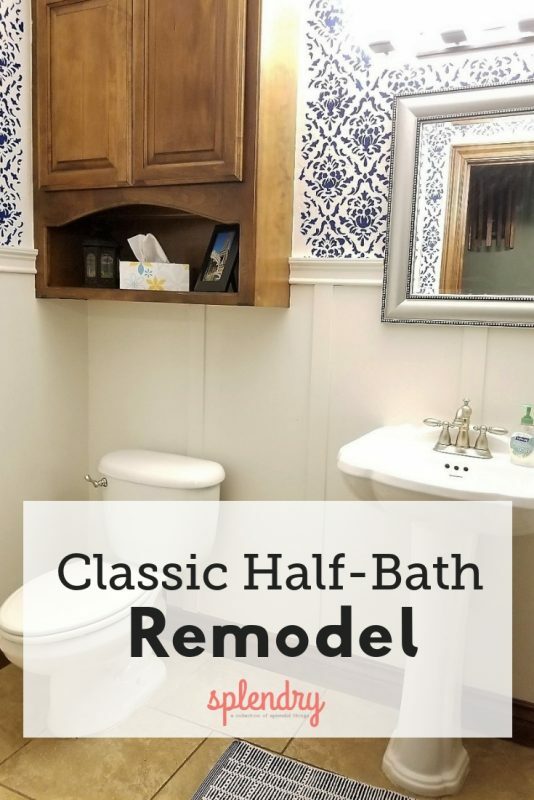 I wanted to do something pretty and classic in our half bath and I wanted to use board and batten because I love how it looks. 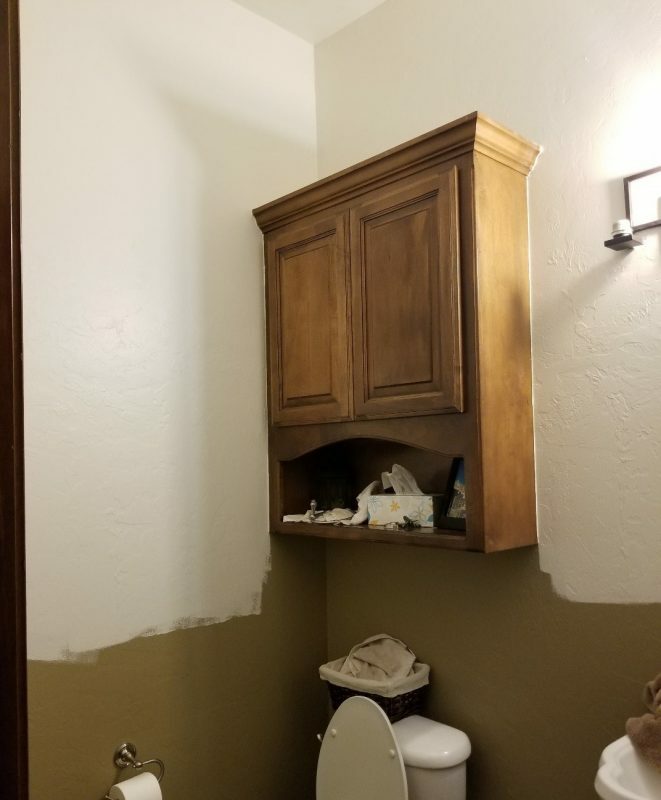 I started by painting the top part of the bathroom Sherwin Williams Aesthetic White. (For tips on painting check out my other post.) I stopped painting where I knew my board and batten would start. Then it was time to stencil! 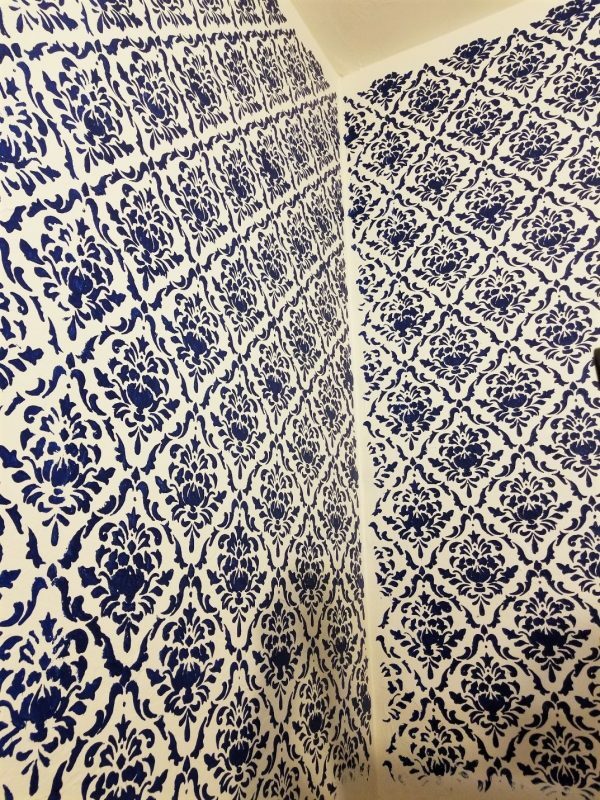 I decided to use a stencil because it’s cheaper than wallpaper and I love the different designs they come in. 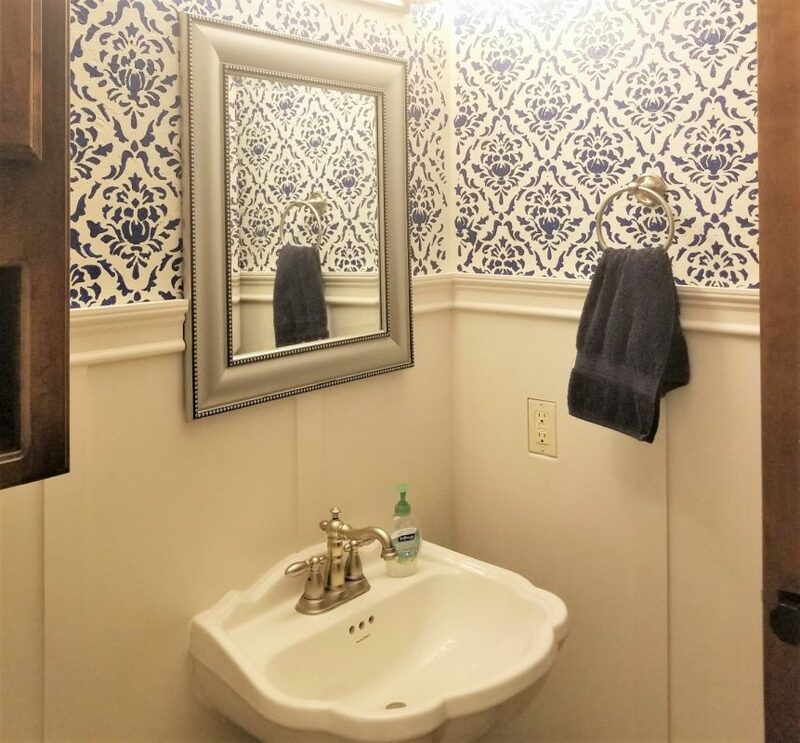 I got my stencil from Stencil Revolution and I used their Damask Floral stencil. I loved this design and how it turned out!!! 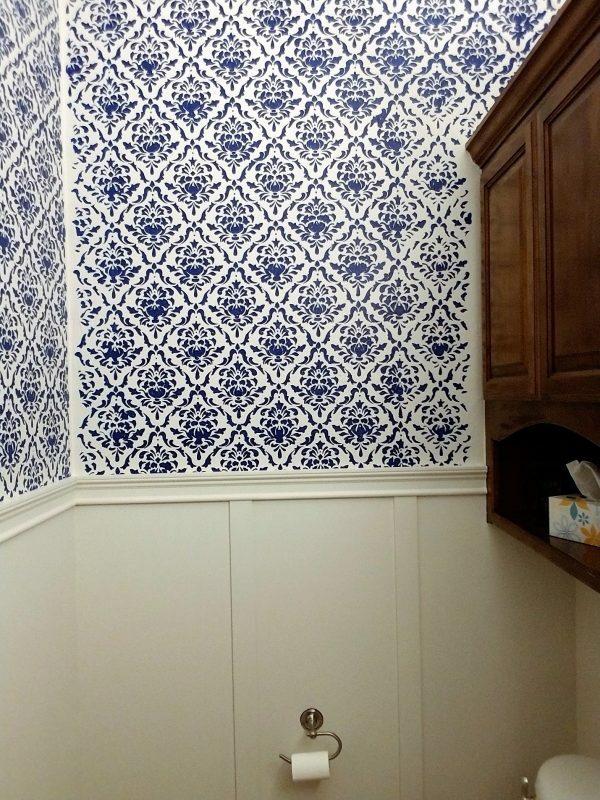 I started stenciling at the top and worked my way down. The stencil comes in 34.5 x 20.5 inch blocks. I trimmed the short ends of my stencil down to only about ½ inch left to minimize the edges of the wall that wouldn’t have the design painted on it. 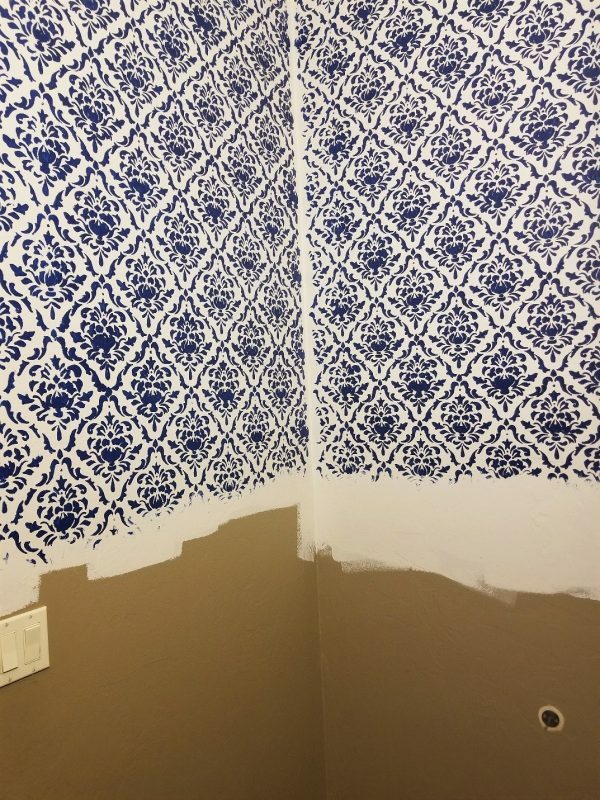 I placed the stencil on the wall and secured it with masking tape, painted the entire stencil and then very carefully removed the stencil. Then I laid the stencil down on a drop cloth, wiped up the excess paint that was on the back of the stencil and made sure the back of the stencil was completely dry before moving on to a new section. I lined up the new stencil section with the previous one and painted the new section. The stencils bend so I would carefully bend the stencil to get around weird corners or shorter walls. Stenciling is a little time consuming but I love how it turned out! I kept stenciling until I knew where the board and batten would be start. Then we added the board and batten to the bottom half of the wall. 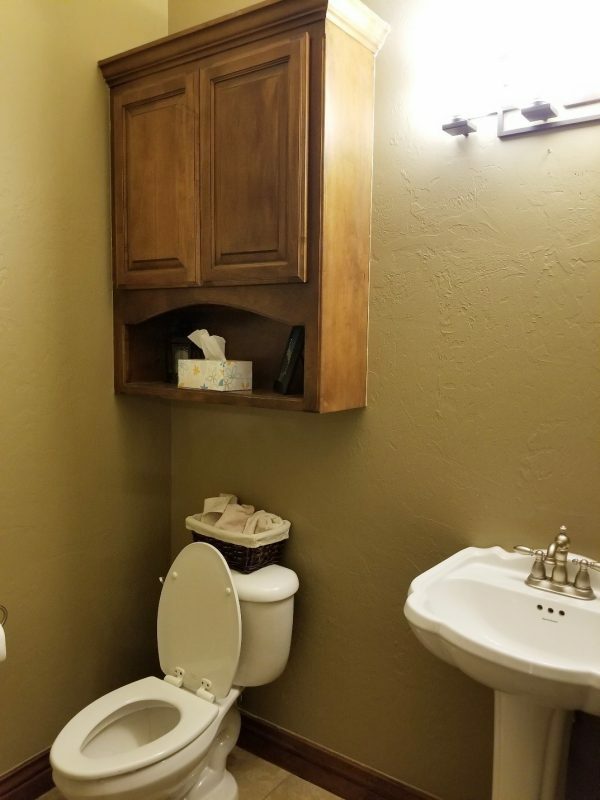 You can see how we did it here. 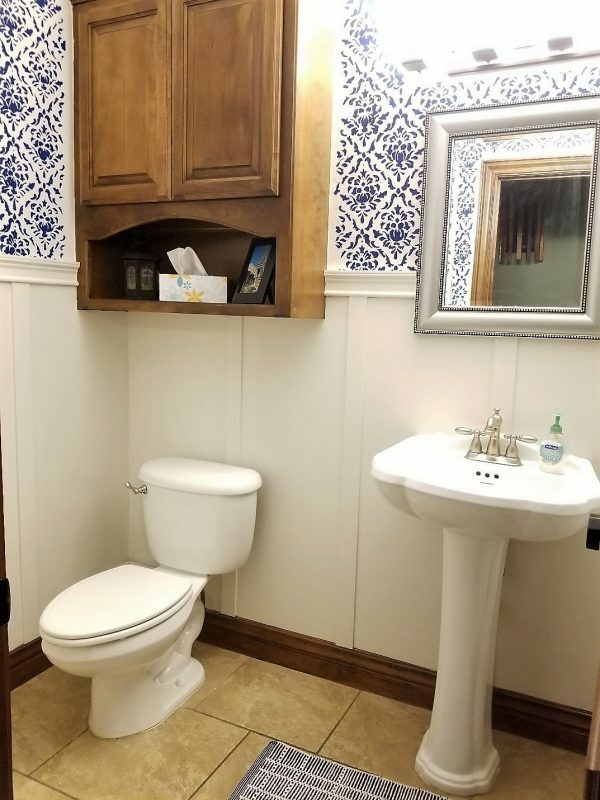 I am so happy with how our half bath remodel turned out! It’s bright and beautiful and I love it! Want to pin this project for later?